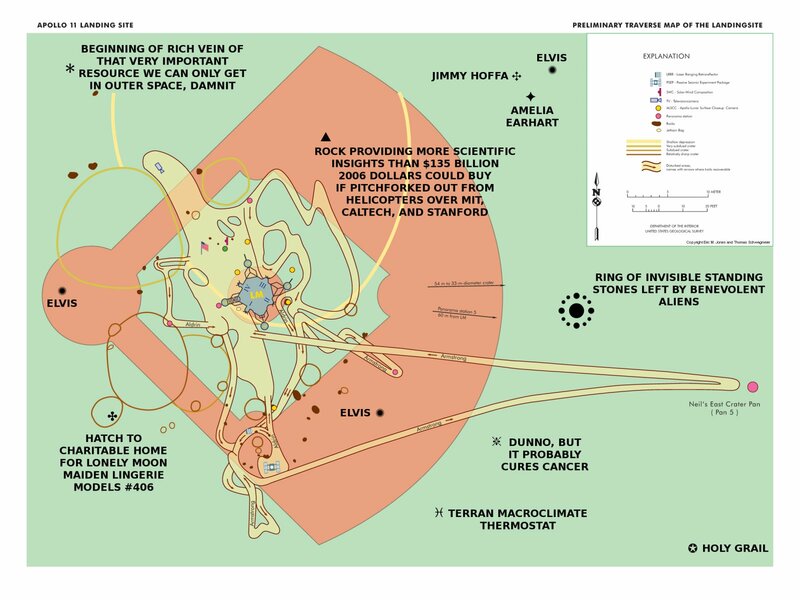 The official NASA history site covering Apollo 11 includes this map of the Apollo 11 landing site superimposed on a baseball diamond to provide scale, but unaccountably leaves out a number of things. Posted Monday, March 24th, 2008 11:22 AM	under . Comments and pings closed.